The scene illustrated here is the opening leaf of the album. 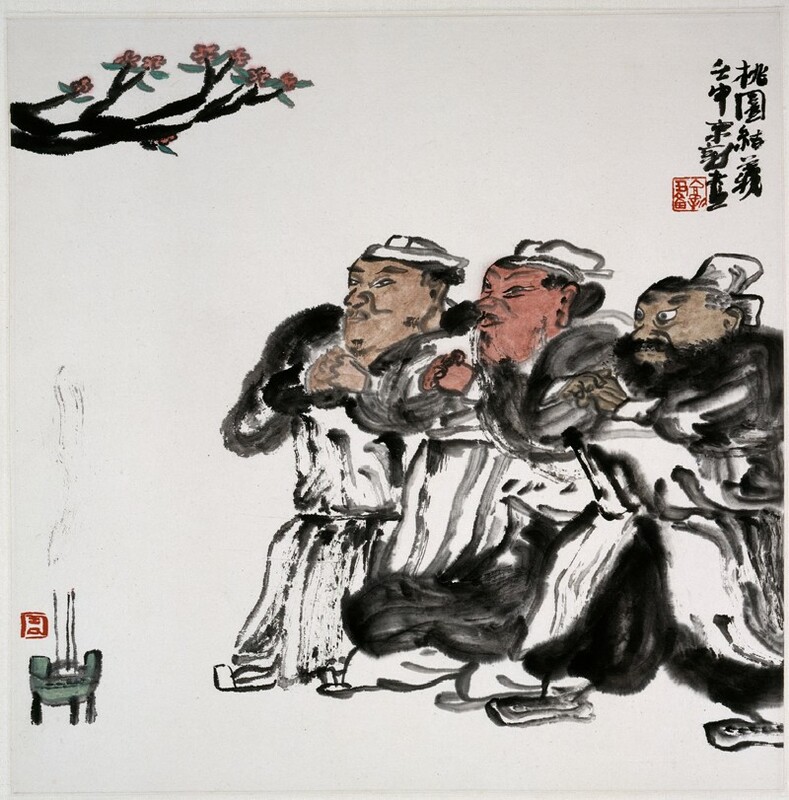 Dated 1992 and entitled The Oath in the Peach Garden it depicts the episode in which the three heroes of the novel swear allegiance to one another. 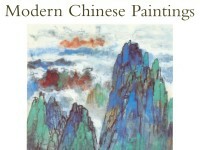 The robust style of the painting is suited to the swashbuckling, popular nature of the novel. 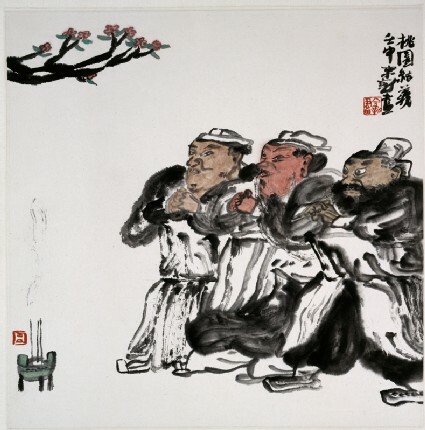 Zhou Jingxin is well-known for paintings of figures from vernacular fiction, in this case the heroes Liu Bei, Zhang Fei and Guang Yu from the novel Sanguo yanyi or Three Kingdoms by Luo Guanzhong. Such heroes have a long history of representation in woodblock illustrations and on porcelain, where they appear similarly labelled. The scene illustrated here is the opening leaf of the album, and depicts the episode in which the three heroes swear allegiance to one another, while incense burns in a ritual vessel of ancient form.